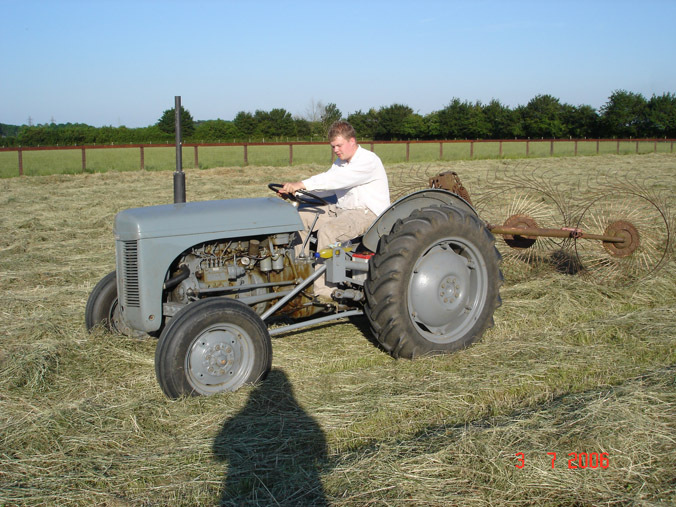 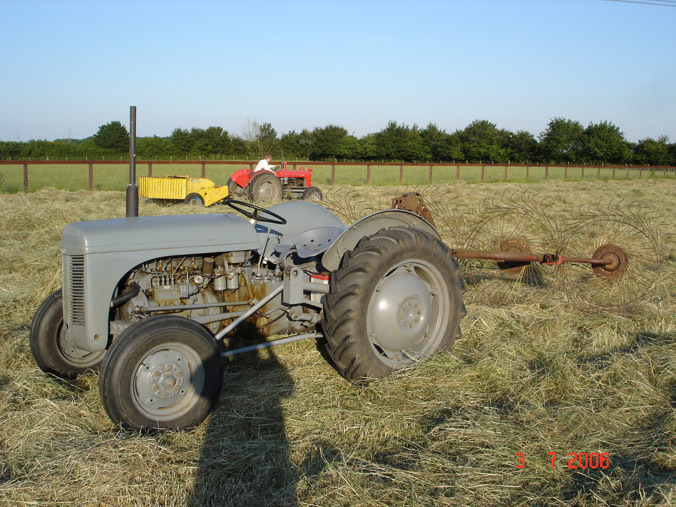 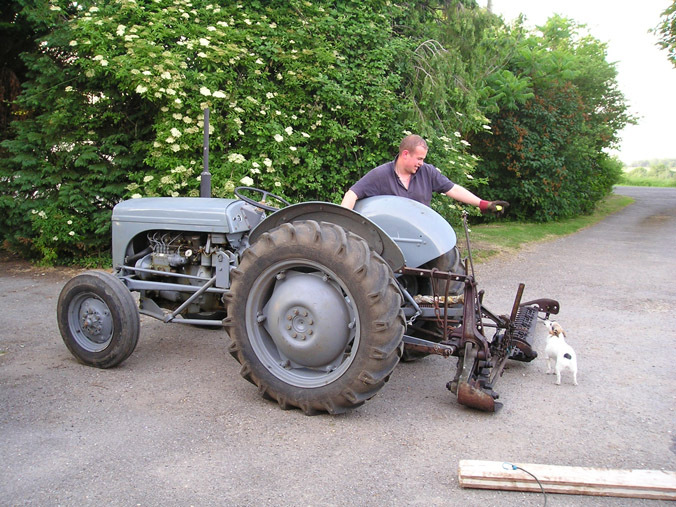 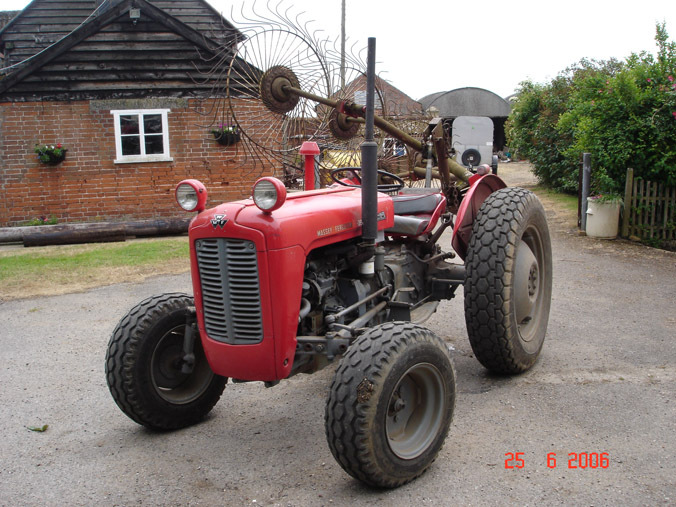 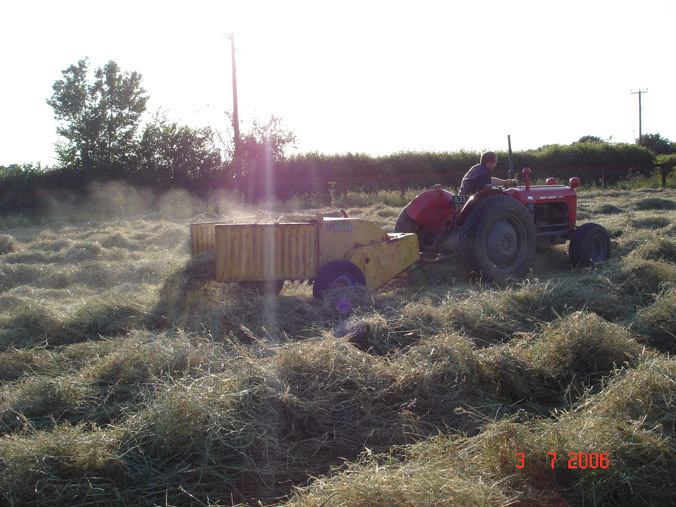 In Summer of 2006 we made hay for a neighbour, using some of our machinery and their restored Fergies. 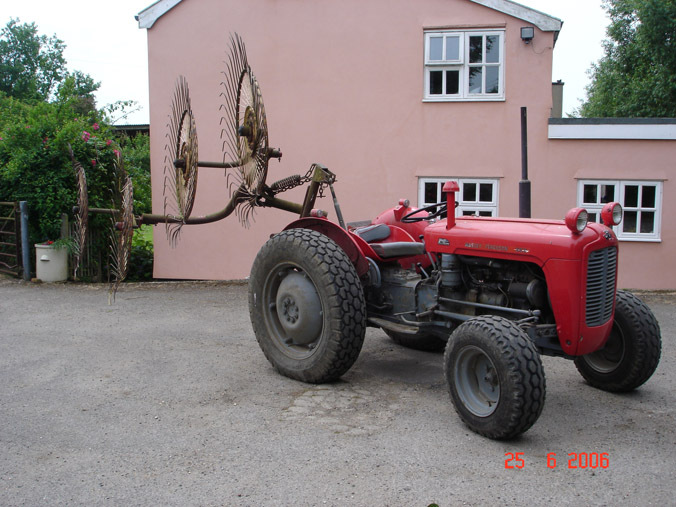 A few problems were encountered, and the mower had to be welded in an emergency to allow cutting to continue. 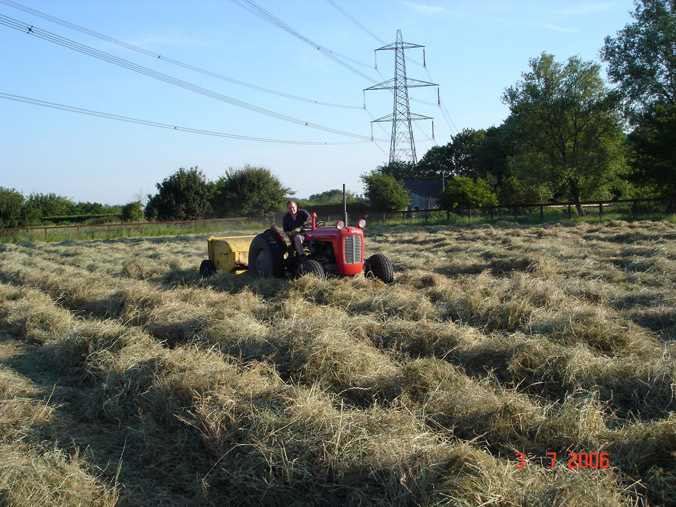 Unfortunately one field was just too thick for the mower and a contractor had to be drafted in to finish mowing that area. 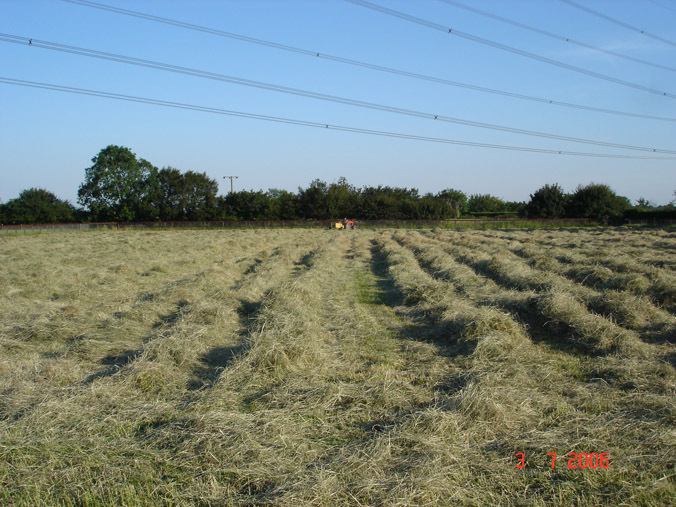 But, most importantly, we did end up with a good bit of hay for their stock!